Custom Sheet Metal Inc. services the Brighton, Colorado area. We also service anyone from the metro Denver area. Custom Sheet Metal’s deliveries are the Denver metro Area (Denver, Aurora, Centennial, Parker, Lakewood, Bloomfield, Brighton, Westminster Arvada Ect). We have a $70 trip charge. Outside of that area Custom Sheet Metal has a $125 trip charge. this would include areas such as Castle Rock, Colorado Springs, Evergreen, Longmont, Boulder etc. 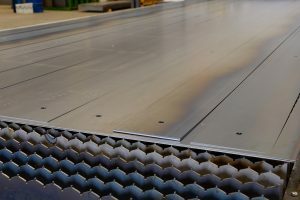 Custom Sheet Metal Inc. offers the best in metal fabrication, custom sheet metal, break metal, custom metal panels, custom flashings, custom gutters, and custom metal colors. Custom Sheet Metal Inc. is a proud family owned business that is focused on providing outstanding customer service and satisfaction with our custom sheet metal products. We have built our business on our outstanding reputation and referrals from our customers. We pride ourselves as experienced, professional sheet metal fabricators. Our metal fabricators are capable of meeting the needs of our customers. We have worked with customers in the construction, processing, and equipment building industries. Custom Sheetmetal Inc. is well stocked with the proper equipment and expertise for fabricating with stainless steel and aluminum to provide you fantastic work.